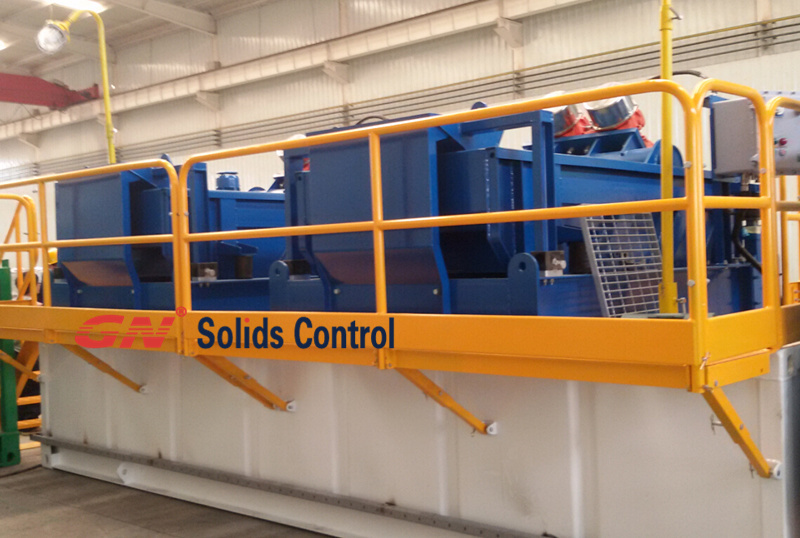 GN Solids Control has one set mud tank with dual Hi-G drying shaker for drilling waste management ready for dispatch. The mud system is mainly used to treat the water based mud drilling waste discharged from shale shaker, desander cyclones & desilter cyclones. The customer is China subsidiary company of CNPC, with many years oil service / mud treatment experience. Configuration of the dual high G drying shaker mud tank system. Screen qty & screen area & screen size: 4 pcs shaker totally of 2.73m2. Application: used for water based mud drilling cuttings treatment. 2) 1 mud tank to support the dual high G drying shaker. This mud tank is used to catch the clean drilling mud treated by High G drying shaker. Mud agitators are also installed upside to agitating the drilling fluids and suspending the drilling mud. 3) Drilling mud decanter centrifuge after High G drying shaker, is used to remove the fine solids from the drilling fluids. After that, the drilling mud can be taken back to active mud tank for reuse. GN high speed centrifuge with 3200rpm can separate the fine solids above 2-5 microns. The centrifuge production material is from top international brand and the lifetime is much longer even in very hard mud conditions. 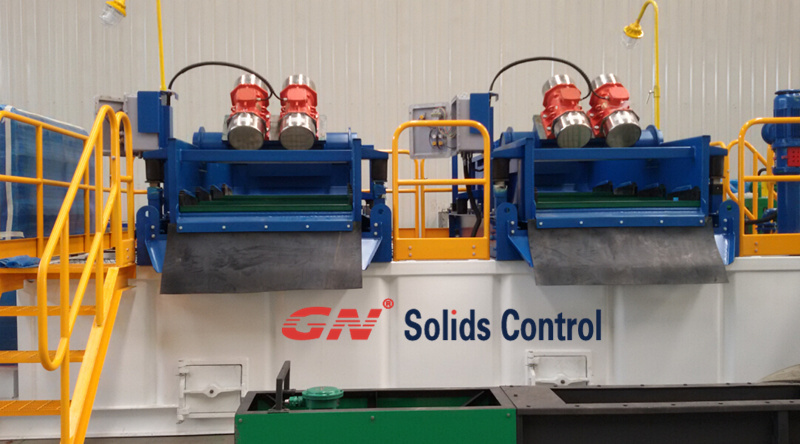 Except for above equipment, GN Solids Control can also offer drilling waste vertical cuttings dryer for oil based mud treatment. With China environmental protection policy, no pit drilling is requested by government. With this background, GN Solids Control vertical cuttings dryer is much hot in drilling waste market. We just delivery 5 sets of vertical cuttings dryer to China CNPC jobsite. Pls click here to get more information.